Before sharing our Siphon Spirit demo, we need a place to talk about it. 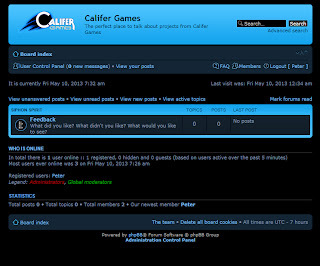 I didn't expect it to take so long, but I spent the last week figuring out how to tweak color settings on our new phpBB forum. This will go up with the demo. It isn't a big change from the default (mostly color changes) but it was a good chunk of work anyways. My other plan is to have a game trailer made to release with it. Sorry to say these things have pushed back the demo release, but we promise, we are working hard to get everything ready. The forum is not live yet, will be soon. 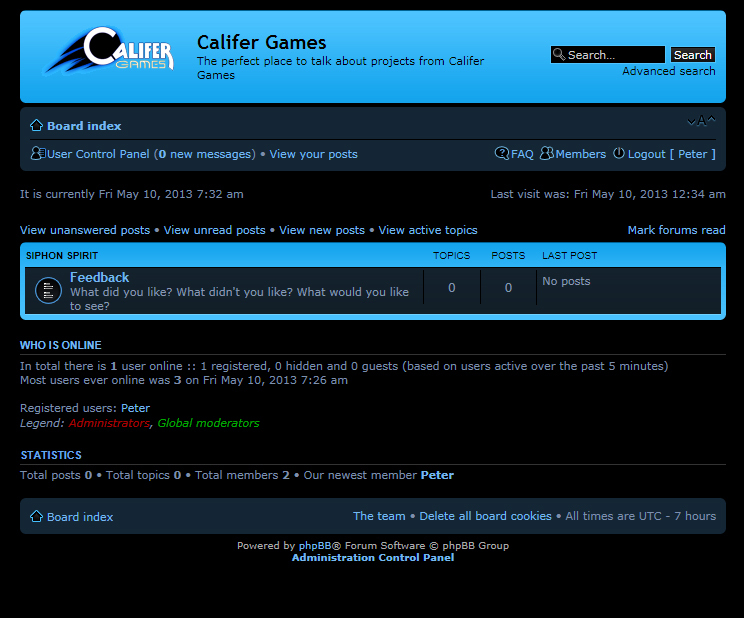 It will be accessed from www.califergames.com under the forum tab. I expect we will have the demo and forum up early next week.